A Life Estate Deed is a legal document that grants ownership of a parcel of real property (your house, your land) to two separate parties: (1) the Life Tenant, and (2) the Remainderman. For example you can give another person (or yourself) a life estate interest in your home and retain the right to live in and enjoy the property during your lifetime. In retaining an interest in the property during your life you can set-up two different types of Life Estate Deeds. Life Estate Deed With Powers. One of the purposes of this type of Maryland life estate deed is to avoid probate. Retaining powers allows the grantor the power to sell, mortgage, or convey the property as the grantor wishes during their lifetime. Maryland Life Estate Deed Without Powers. This type of life estate deed is often used when planning for Medicaid. 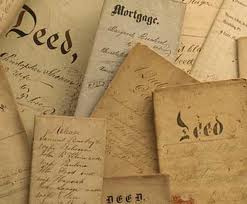 With this deed the grantor gives-up the power to sell, mortgage, or convey the property to others. If the grantor wishes to do such things with the property they will need the written consent of the remainderman. For Medicaid this type of deed is considered a gift and the gift penalty rules apply. The advantage of this type of deed is that after five years the gift penalty period for Medicaid expires and the value of the life estate is not currently considered an asset for Medicaid purposes. 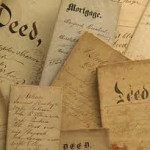 To ensure that your Maryland property Deed is drafted and recorded correctly under Maryland and county laws, and that the appropriate type of deed is created, call or e-mail now for a free confidential consultation: Maryland property deed/title attorney Stephen J. Reichert at 410-299-4959, sreichert@reichertlegal.com or by clicking here. Day, evening and weekend appointments are available in office or at your residence; serving client throughout Maryland.